They are worried of the impact that this short, very cute advert will have on sales of chocolate and ice-cream (unlikely amongst hormonal women) although you can see their thought process. For those of you that haven’t seen, a young girl is greeted in her bedroom by a very destructive monkey. The little girl asks the orangutan to leave and asks why he has come to her bedroom? The monkey states he has no home now as the humans are destroying the rainforest therefore, he had nowhere to go. 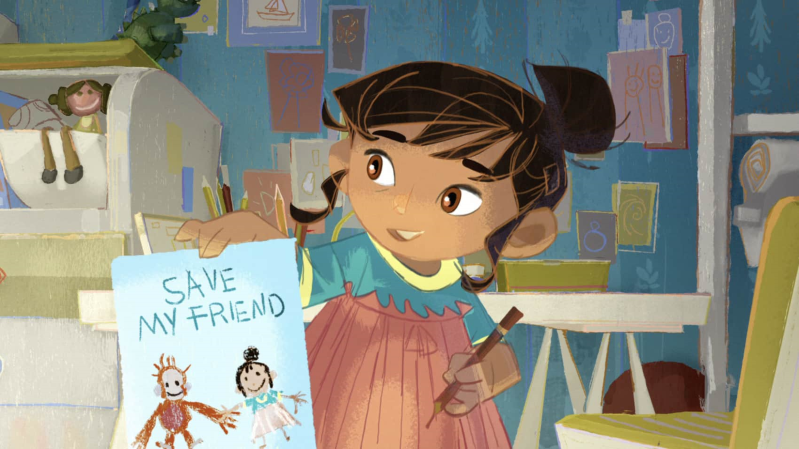 The little girl is upset by what she has heard and promises to start a campaign to help save the orangutans from their habitats being destroyed. What’s this all about? In a nut shell, PALM OIL. Palm oil is high in saturated fat. One tablespoon of palm oil contains 55 percent of the daily recommendation of saturated fat. Up to 300 football fields of forest are cleared every HOUR to make room for palm plantations. In the past 10 years, the orangutan population has decreased by 50 percent as the result of habitat loss from forest clearing for palm plantations. There are only 6,300 Sumatran orangutans left. It is estimated that 1,000 orangutans are killed a year, a major factor in these deaths being forest clearing for palm production. In 2006, at least 1,500 orangutans were clubbed to death by palm workers. Worrying isn’t it? As much as I would love to make a stand and cut palm oil from my diet, we can’t deny the fact, it’s hard? Too many of our foods are now coated in or cooked with palm oil. Crisps, bread, chocolate and the best one of all... Vegan cheese which I believe to be a little ironic! But that’s for another time. Earlier this year, Iceland became the first major UK supermarket to pledge to remove palm oil from all its own-brand foods. Orangutans are now being classified as critically endangered! Maybe we can follow in Iceland’s footsteps and create more awareness?